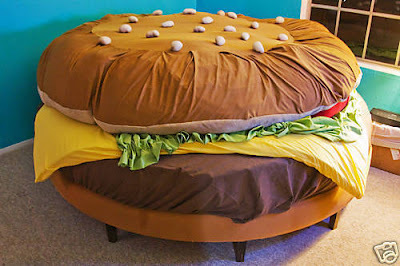 This burger bed is being auctioned off on eBay and although I have no idea where I would put it, I'm pretty sure it would be a great addition to my home. 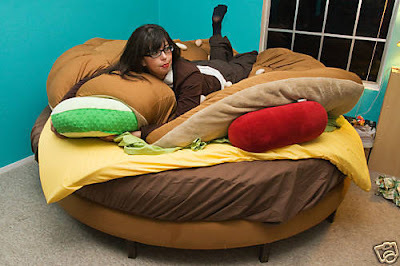 I have a feeling that sleeping in the burger bed would bring only the very best dreams. The person who created this bed is a genius, I wonder if there are any other beds like this?